I am exhausted just reading and devouring your photos with my whole envious attention! I would be hard pressed to choose just one pen, but I loved that modern Parker with the antique dip nib!! Of course some very venerable MBs were shown too! As for Maki-e!!!! what a show! Your haul of Japanese pens look wonderful! Amazing, just amazing, and thanks for letting me be there via your posts! Ricky, how great to relive the show through your fabulous photos! 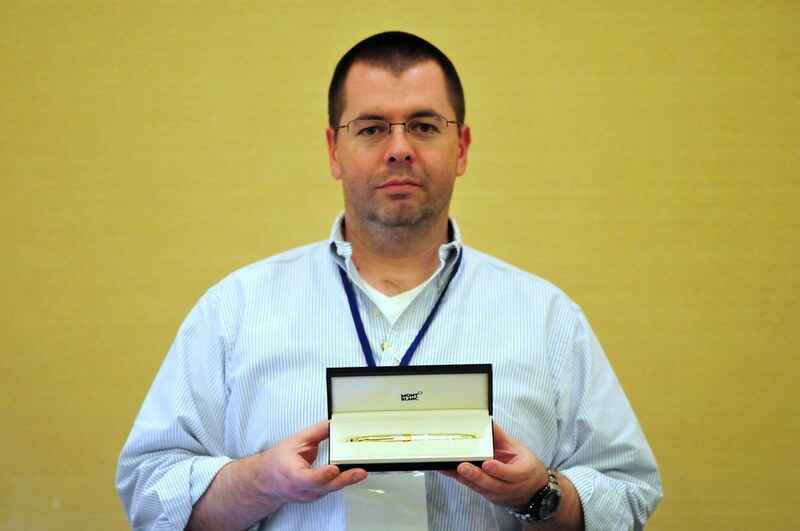 I was the person lusting after Brett's Pelikan at the NoSoCal Pen Posse lunch... sigh. The guy you bought your Sonnecken from was named Carlos and from Brazil - he had a couple Aurora 88s I kept eyeing. Thanks again! Thanks for the info. I'll edit the text. Some how that pen makes me want chicken. Four whole fried chickens. Stressing Whole. The LA Pen show was completely overwhelming! I had such a great time there and even managed to grab this little beauty, thanks to Speedy! Science is a way of skeptically interrogating the universe with a fine understanding of human fallibility. Thanks so much for this reportage. For those of us who are continents away from any event remotely like this, it brings it right into our living room - I've had such fun reading and oooh'ing and aaah'ing! Excellent show report! Thank you for bringing the show to people like me on the other side of the planet. Great Pictures Ricky. Let me know when you will be down for work again and we can get dinner. Now I begin saving for next year! One again, thanks for sharing all those photos. The scale of the show and quality of the pens is simply unbelievable. Will you be bringing this to Pen Posse Saturday? I love all your nibs. Eek! Also, did you resolve your Danitrio quandary? I didn't do quite as well as Ricky, but I'm still married. Thanks for catching all the things I did not have time to see. Next show I will get out from behind the tables. Maybe I can join you. Coming to DC? I think you may be even more happy there. I've wanted to go to a pen show for so long and haven't been able to make the local show; something always comes up that weekend. Threads like this, with a ton of pictures and great captions, are the next best thing. Thanks very much! Oh, I know I'll like your nibs. I always like your nibs. I've got my Nakayas with me to battle the nib envy -- or nib coveting. Ha ha ha, about being married still. Did Sandi get a pen, hm? Are your converting her...? Great job of reporting! I've yet to attend my first pen show, but your coverage has really given me a good perspective on what to expect when I finally make one. Thank you. I was there from about 10-3 on Sunday (and I started a short thread of my own before this one was started). Didn't buy anything, but was sorely tempted by a number of items. 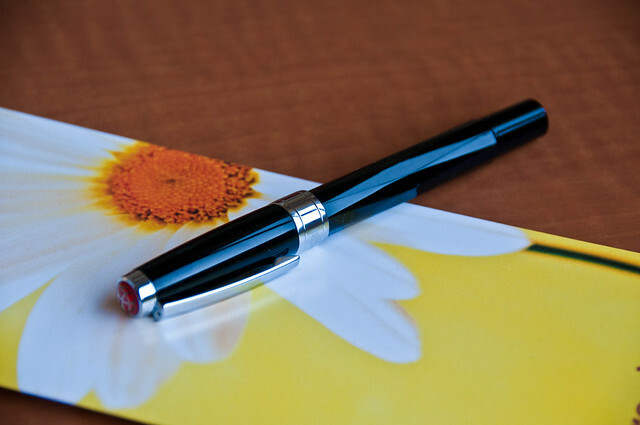 Brian will be sending the Pen Posse some pens to show off at a pen posse. We were not able to put this together before the show and Brian didn't want to burden me with bringing pens back from the show. He's going to send them soon. We will decide the best time on Saturday and I'll let Brian know when to send the pens. Nice Coverage Ricky! Some day, I will be in a picture for you, smiling, not fuzzy or off guard, I promise!